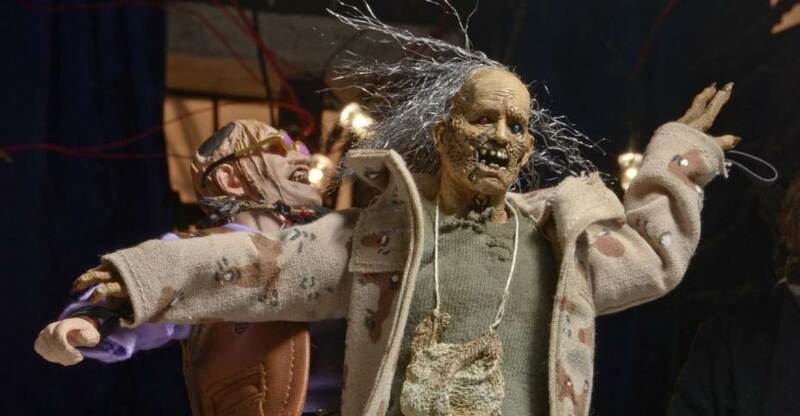 In The Texas Chainsaw Massacre 2, we are reintroduced to the Hitchhiker from the first film. Only this time, it’s in the form of a corpse that the deranged Sawyer family calls Nubbins. The Hitchiker met his end at the hands of a semi truck during the climax of the first movie. His brother, Chop Top, carries him around throughout the film, and the family treats the decomposing corpse as if it were still alive. 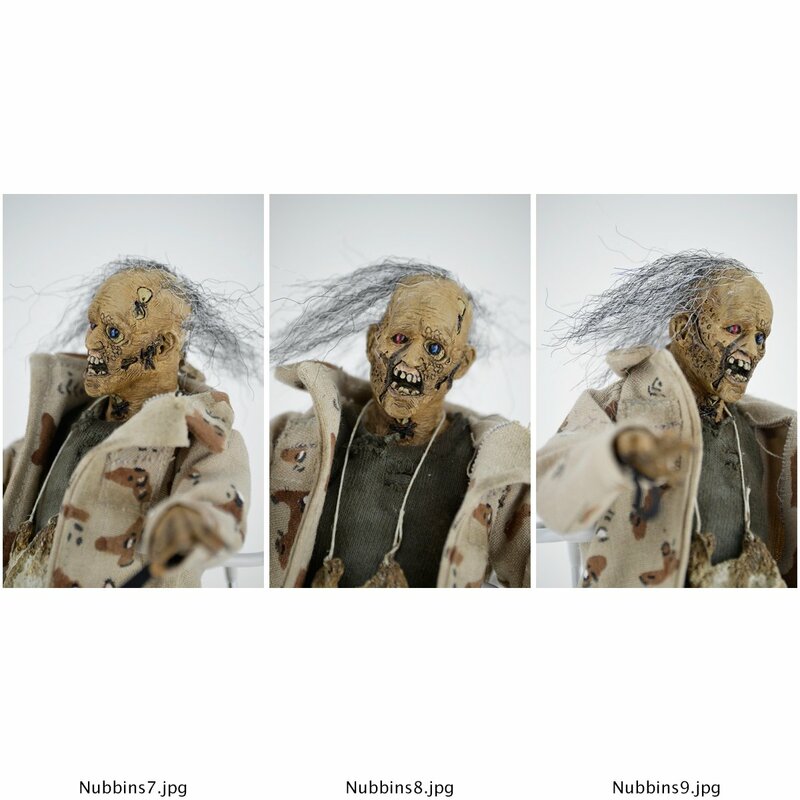 In a new post on their Twitter account, NECA has released a photo showcasing a new figure based on the corpse of Nubbins Sawyer. The figure will be part of the NECA Mego style 8″ retro clothed line. More details will be released in the coming weeks. Click the banner image for the full preview. Cool! Now we need a Dennis Hopper. I guess Chop Top sold well! Fun, but we've never got a figure of the cook that I remember, or an un-corpsified hitchhiker. What's the hold up? I'd love to see grandpa. Comeplete with human bone rocking chair. awesome great to see Nubbins! Someone out there loves Texas Chainsaw 2. I guess there had to be one or two of 'em. 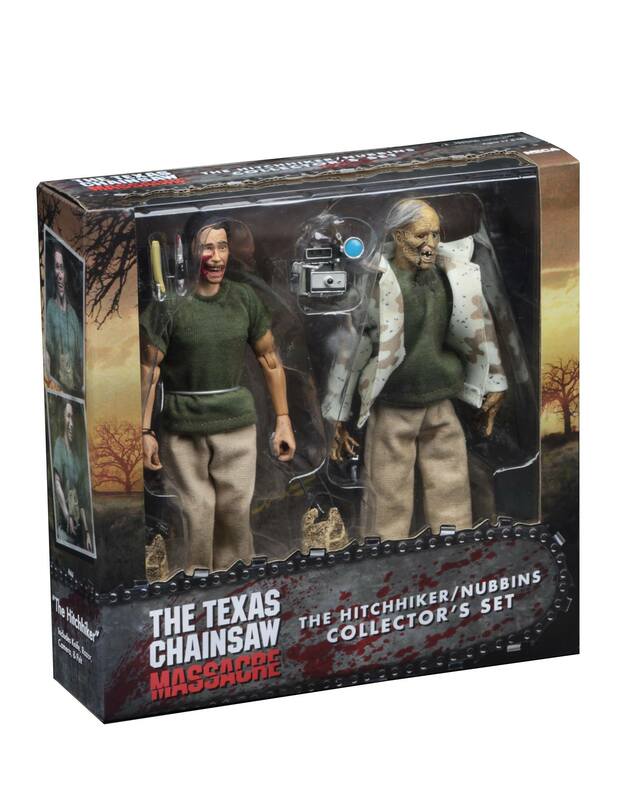 So give us a frickin Dennis Hopper with dual chainsaws already! 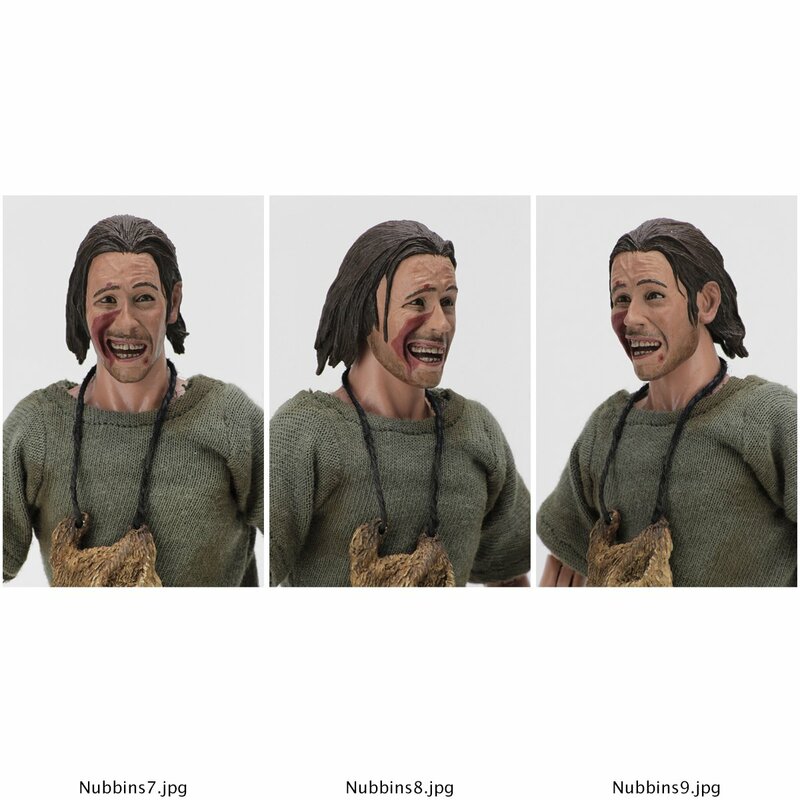 Why do people have to seem so hurt that they're making figures based on a horror movie with a large fan base? (Yes, there are lots of people at conventions lining up to meet Bill "chop-top" Moseley. 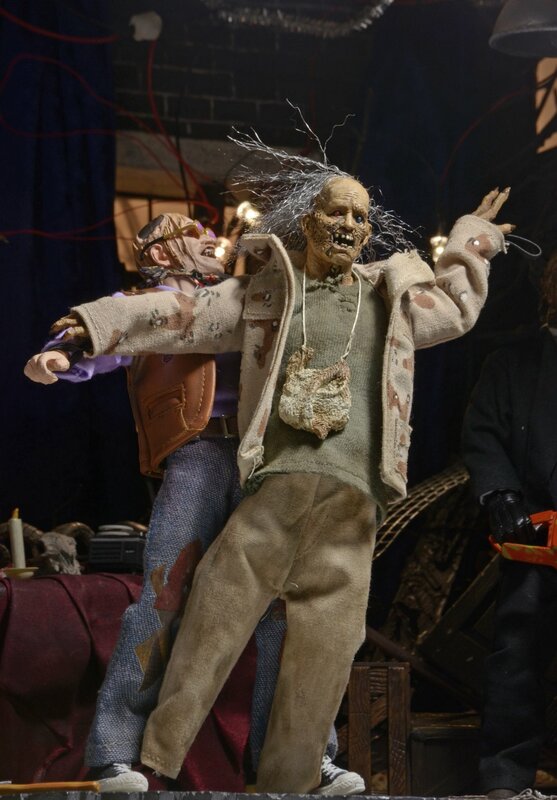 And not because of Rob Zombie films) The fact they're giving Texas Chainsaw 2 so much love makes me happy. Movie is a cult classic at this point. Nobody here seems hurt at all. It might be that they don't have the likeness rights to those actors. Hey, it's Edwin Neal! I know most people know him as the Hitchhiker, but for me he'll always be the beyond-awesome voice of Berg Katse in ADV's English anime dub of Science Ninja Team Gatchaman. This dude's a character. I just ordered another ChopTop to go with Nubbins. I was so good about not collecting the Retro line, too…. "Bendable wire armature" means dead Nubbins is just a bendy figure? Well, he was pretty flat in the movie. Even the Nubbins that Mezco released way back when was just a flat, rubbery kinda thing. True, but he was just an accessory to Chop Top. 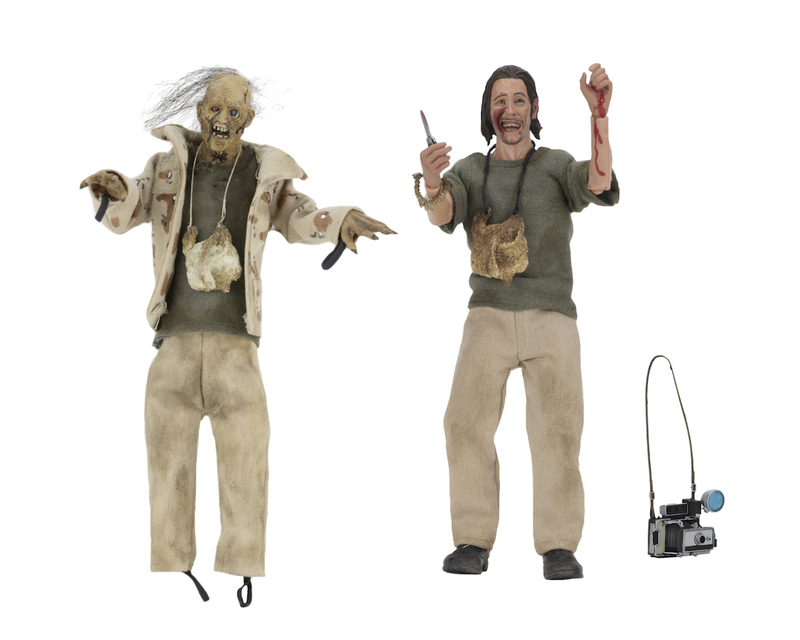 My initial thought was the corpse Nubbins was gonna be available as a figure on his own, but with the 2-pack he again appears to be just some sort of glorified accessory. Also, I never realized he had no feet.